Barwon Water launch StaySafe for a robust and unified lone worker solution. Barwon Water (Barwon Region Water Corporation) is Victoria’s largest regional urban water corporation. It provides high quality water, recycled water and sewerage services to more than 298,000 permanent residents. As a major employer in the region, it has approximately 300 operational, engineering, strategic planning, financial and administrative staff. Barwon Water launched StaySafe for all their employees in September 2016 in order to monitor employee safety whilst travelling and working alone. Barwon Water elected to have enough licences to cover the entire workforce, despite not all employees being identified as high risk. The corporation believes all staff members have the potential to work alone. 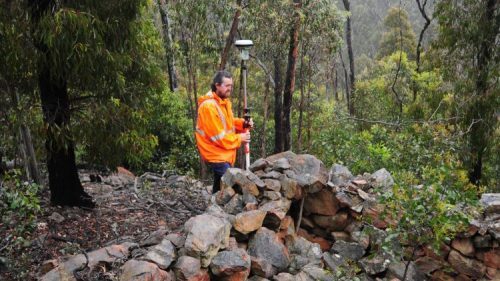 This may mean staying late in the office or a single remote site visit and, as such, Barwon Water wanted to ensure it had the ability to protect and monitor every employee if required. In response to the concerns, Barwon Water felt it needed a more robust and unified solution to controlling the risks associated with working alone and to ensure it was meeting obligations under the Victorian Occupational Health and Safety Act 2004. Barwon Water primarily uses StaySafe’s check-in function, which they have set at a mandatory two hours, to allow them to monitor employee wellbeing. The SMS fallback feature has also been useful to keep track of employees working in more remote locations where the signal can be low. To provide greater protection to employees in the field, the corporation is also currently in the process of setting up custom GIS layers to show assets and high-risk fire areas on the hub map to further extend the information available. Barwon Water uses StaySafe in conjunction with its FireReady policy (bushfire risk mitigation) by ensuring employees have a session running with StaySafe while in High Risk Fire Areas. By doing this, Barwon Water can pinpoint employees in relation to fire outbreaks and evacuate them pro-actively. Fortunately, since launching the app Barwon Water has only had false alarms. During those instances, Barwon Water was able to locate the staff members and follow the escalation procedures leading to a quick and efficient resolution.